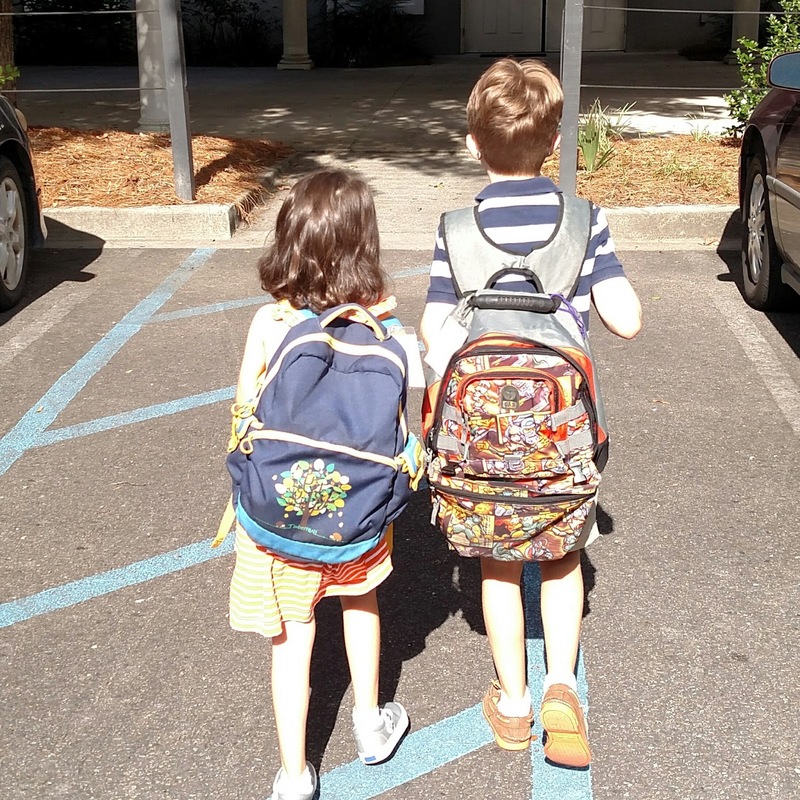 My kids walking in to church. Will you who witness these vows do all in your power to support these persons in their life in Christ? Yesterday was the Annual Blessing of the Backpacks at St. Francis. It is one of my favorite services of the year but was having trouble putting into words why. And then I saw the baptismal font. When our children (and adults) are baptized in The Episcopal Church we promise to support them in their life. This isn't just when they are well dressed and behaving well. This isn't only on Sunday morning. We take the good and the bad. We need to remember that we have promised to support them when they are kicking our pew, when they are the sullen teenager who is questioning their faith and boundaries, when they are nervous about their next step. When I told my son to grab his bookbag to take to church so we could have it blessed, he said "Mom, can't you just baptize it for me?" This was a good reminder that it isn't about the bags, it is about the children and youth and their journey. 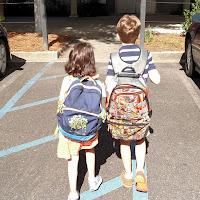 In blessing our children, we are reminding them that God is with them on the first day of school and at their first test and when they are bullied and when they make a new friend. And that our community will support them through all of the ups and downs. If you don't have a blessing planned and your students haven't started school yet, there is still time to plan one! It is a good habbit that you have develop in your kids. they need to learn about their religios and its significance. May God always keep them on the right track.